Penny T., from Loma Linda, came to Dr. Thein’s office stating that she’d neglected her mouth and only smiled with her hands in front of her mouth. 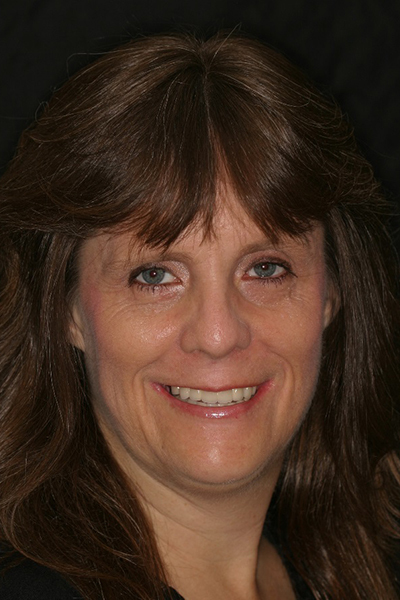 Identifying that many of the teeth were unsalvageable, Dr. Thein worked within Penny’s budget to provide her with a variety of dental treatment options. 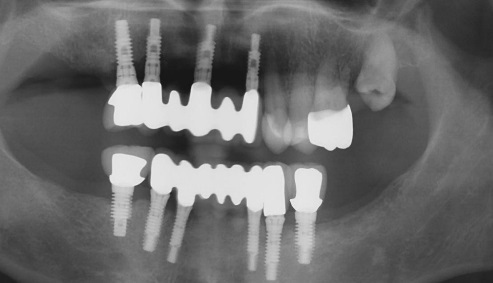 Penny elected to choose porcelain crowns and bridges firmly attached to dental implants. 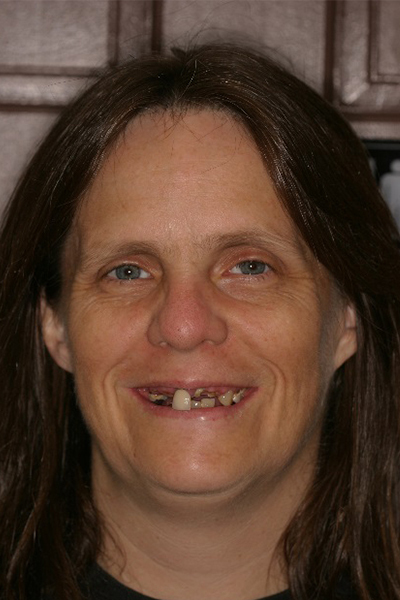 Dr. Thein and his staff restored Penny’s beautiful smile. If you are considering full-mouth reconstruction, call our office or complete the request an appointment page to schedule an exam or a brief complimentary consultation, during which you can ask Dr. Thein a few questions.